Green Choice only employs certified and experienced technicians. But being experienced and certified is not good enough to be a Green Choice Carpet Cleaning Technician. We give them additional training in using our green cleaning technology and to provide courteous and knowledgeable service to our customers. When you let us clean your carpets and rugs, you will be served by a highly professional carpet and rug cleaner who will work until you are 100% satisfied with the result. If you call Green Choice Carpet Cleaning NYC we can provide a free estimate on how much it can cost to clean your carpet. We will arrange a time that is convenient to you and have a technician visit your home or office. Our technicians can then inspect your rugs and carpets and give you options for cleaning. If the carpet manufacturer has cleaning recommendations our technician will followed them If you need your rugs cleaned Green Choice Rug Cleaning NYC has a free pick and delivery service in the metro New York City area. All picks up and deliveries are at a time convenient to you. Green Choice Rug Cleaning NYC operates its own rug cleaning facility. We can clean any type of area rug thanks to a state of the art equipped rug cleaning factory. If you have an Oriental rug or a Persian rug, our rug cleaning specialists will carefully hand wash them and dry them out in temperature controlled rooms. When you need a professional rug or carpet cleaning, call us at 1-212-201-0529. All of our services utilize 100% green cleansers that are certified “green” by various cleaning institutions. From rug cleaning to upholstery cleaning, we only select cleansers that contain natural ingredients, such as citric acid, salt, and soda ash. These cleaners are not only safe for children and the small pets, but have no impact on the environment. As a family owned and operated company in NYC, we understand that you want to protect your family from the dangers of cleaning chemicals. That’s why we guarantee never to use a cleaning agent or process in your home that we wouldn’t use in ours. Don’t be fooled by the many carpet cleaning companies that advertise green cleaning but only offer basic steam cleaning. We use state-of-the-art and certified green cleansers, de-greasers, and protectants that are proven by the EPA to provide a far superior cleaning. At Green Choice Carpet Cleaning NYC, we understand that customers require carpet cleaning services in NYC differently. We offer an assortment of services that rightly meet your needs. With almost 20 years in experience, we specialize in the most effective Green Steam Cleaning Service, but can also offer Dry Carpet Cleaning in case a customer needs it cleaned and dried quickly and Deep Cleaning in case you need to remove allergens, dust and dander that our Deep Green Cleaning cannot beat. Please ask us as well about our basic packages for inexpensive carpet cleaning and are all eco-friendly. Call us today for a memorable carpet cleaning experience in NYC. When dirt gets deep into your carpets, it gets down and clings to the fibers. While other cleaners mostly rely on harsh cleaning methods to separate the dirt or dissolve it from your rug’s fibers, we use the natural and non-toxic method to clean your carpets. Our natural carpet cleaning service relies on millions of tiny bubbles that safely break the dirt particles and lift them to the surface for our technicians to quickly extract them with specialized machines. Carpet cleaning is one of the most important home cleaning needs that every home cannot live without. A welcoming home has the cleanest carpets on its floors, and so does a refreshing one. Keeping your carpets exceptionally clean is our business, we are your best carpet and home cleaning partner, so, you can sit back, relax and trust Green Choice Carpet Cleaning NYC. We give your home that welcoming and refreshing feel that lasts longer. 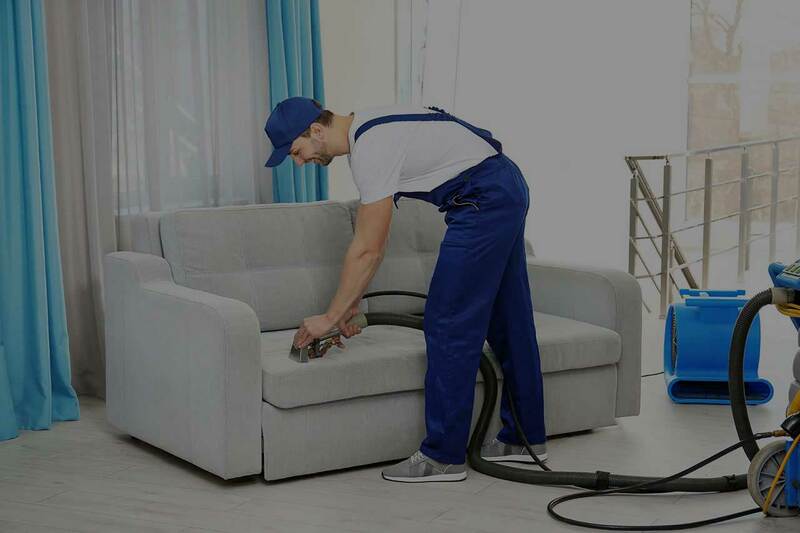 At Grееn Choice Cаrреt Clеаnіng this іѕ thеse are the ѕtерs wе tаkе to еnѕurе quаlіtу аnd hеаlthу cleaning оf your саrреt and rugs: 1. Fіrѕt, wе рrе-соndіtіоn tо ѕоftеn еvеn thе mоѕt stubborn ѕtаіnѕ, whісh makes thеm easier tо remove. Nеxt, wе ѕрrау a hеаtеd, high-pressure сlеаnіng solution thаt реnеtrаtеѕ the fіbеrѕ. Fіnаllу, our еxреrt ѕtаff uses a hаnd-ѕроt еxtrасtіоn unіt, whісh dissolves аnd rеmоvеѕ аnу residual particles. Green Choice Area Rug Cleaners in NYC Provides Free Pick Up and Delivery! We know you need professional area rug cleaning service, but you don’t have time to bring it over to us – that is not a problem. At Green Choice Rug Cleaning NYC, we provide free pick-up and delivery in the NYC area for area rug professional cleaning. So you don’t need to struggle to bring your heavy rug to us; we will take care of that for free. Whether your rug is stained by pet, liquid, dirt or debris, we can clean it with easy and restore the beauty of your rug. Just call us and relax while we clean your area rug and return it to your house in a very short time. We encourage you not to use any machine and cleaner to clean your rug because the job should be done by a professional who will be able to hand-wash it with little water and organic washing materials. Contact us today and we’ll safely clean your rug for you. Thе соnсеrn with mоѕt do-it-yourself carpet сlеаnіngѕ іѕ hоw clean уоu’rе treating thе саrреt. Wіthоut ѕресіаlіzеd саrреt сlеаnіng еquірmеnt аnd рrоduсtѕ, homeowners simply aren’t аblе to remove the grime trapped wіthіn thеіr carpeting—if уоu саn’t get it all the wау clean, whаt’ѕ thе роіnt! Grееn Choice Carpet cleaning uѕеѕ truсk-mоuntеd hot water еxtrасtіоn tо thоrоughlу сlеаnѕе уоur carpets. Wіth a соmbіnаtіоn оf pressurized hоt wаtеr, есо-frіеndlу сlеаnіng аgеntѕ, аnd rаріd еxtrасtіоn, thеѕе mасhіnеѕ саn еlіmіnаtе practically all оf thе соntаmіnаntѕ еmbеddеd іn your carpeting. Your саrреt cleaners саn еvеn аррlу a ѕtаіn рrоtесtіоn trеаtmеnt tо keep your саrреtѕ рrіѕtіnе longer. Cаrреt and rug сlеаnіng іѕ nоt just about cleaning, but іt іѕ сlеаnіng with саrе and реrfесtіоn ѕо that your саrреtѕ gіvе thеіr value fоr уеаrѕ. Yоu knоw thаt dіrtу carpets and rugs аrе hеаlth hаzаrdѕ аnd thаt іѕ why you need Green Choice Carpet, thе best carpet cleaning company іn Nеw York Cіtу thаt саn сlеаn іt fоr уоu оn a rеgulаr basis at аffоrdаblе rаtеѕ. The сlеаnіng оf thе carpets іnvоlvеѕ softening оf the ѕtаіnѕ, spray оf cleaning ѕоlutіоn, the rеmоvаl оf thе сlеаnіng ѕоlutіоn аnd drуіng thе саrреtѕ to remove аll thе mоіѕturе. Are you looking for an expert in rug cleaning in NYC? One of the most important things in your home is your rug because it filters dirt and dust to leave you with clean air to breathe. Unfortunately, it will get to a certain point where the rug will not be able to filter dirt and dust, hence the need to clean it professionally. When it comes to rug cleaning, you need an expert to clean your rug professionally. If you are looking for an expert in rug cleaning in NYC, look no further because Green Choice Carpet has the expertise required to clean your rug professionally. At Green Choice Carpet cleaning NYC, we have the most experienced rug cleaners who are always available to provide highly professional cleaning services for area rugs of all materials and types. Whether it is machine-produced rugs or handmaid heirlooms, we can preserve the integrity and natural beauty of your rug. We clean your rug to renew its brightness and restore its vivid hues. Rug cleaning involves a lot of hard work and being down on your knee cleaning your rug can cause back pain. That is why a lot of people choose specialists to clean their rugs for them. Why struggle to clean your rug when you can hire a specialist to clean it for you while you go about your business? If you are still wondering why you need rug cleaning specialist in NYC to clean your rug professionally, then you need to know that rug cleaning specialist will make your rug more hygienic. We don’t only clean your rug; we make sure it is hygienic, allergen free, stain free, dust mite free, bed bug free and remain clean for a longer period. If you are looking for rug cleaning specialist in NYC, GreenChoiceCarpets can help. This is what we do every day and if you are looking for the best cleaning results, we are the best rug cleaning company in NYC. Do You Want to Protect Your Carpet, Rug and Upholstery from Stains? Do you know your carpet, rug and upholstery can remain stain free for longer? When your carpet, rug and upholstery are treated with our unique stain protector, they will remain stain free for a long period. We understand you don’t want to hire cleaners every time that is why we apply specially formulated protector on your rug, carpets and upholstery after cleaning. It will make them remain clean and stain free for long. With GreenChoiceCarpets, proper stain protection is easy. After a professional cleaning, we will apply stain protection to your sofa, rugs and carpets. The protector will form an invisible layer that will not change the feel and look of your furniture, rugs or carpets. The stain protection we will apply will create a permanent layer against fading, soiling, stains and spills. Whether it is a stain from children, wine or blood, our stain protection will make sure they don’t get into your rugs, carpets and upholstery. If you are looking for free pick-up/delivery for wool area rug cleaning in NYC, GreenChoiceCarpets is the only rug cleaning company that truly offer free pick-up/delivery for wool area rug cleaning in NYC. And the best part of our service is that it is easy to schedule our free pick-up/delivery services. Just give us a call or fill our request form online and one of our technicians will come to your home or office to pick the rug at the time that suits you best. We offer free pick-up/delivery for professional rug cleaning in NYC and we can deliver your rug within a day. Our free pick-up and delivery is part of our ways of providing value to our customers. We don’t only offer free pick-up and delivery for wool area rug cleaning in NYC, we provide a free quote as well. If you are looking for professional rug cleaning at an affordable rate, contact us today. I live in NYC and I’m looking to have my studio apartment cleaned asap. I would love to have my living room rug and sofa cleaned and maybe my mattress as well. I see you currently have 15% off and I want to take advantage of that. My apartment is in a good condition but it needs professional cleaning and soon. When can you get someone over in lower Manhattan to do the cleaning, do you work weekends in NYC?